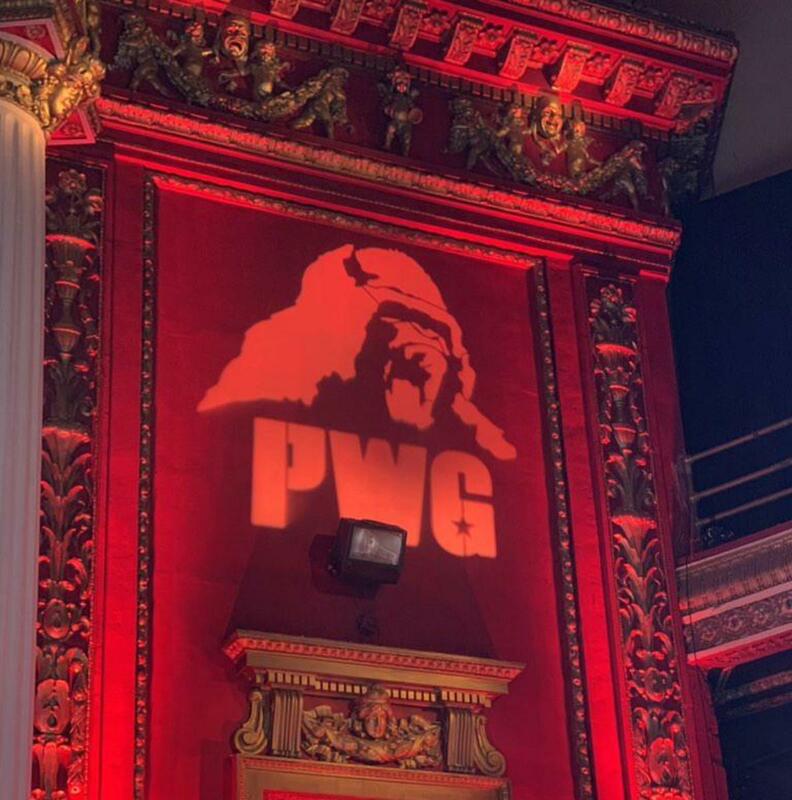 PWG held their first show since the 2018 Battle of Los Angeles at the Globe Theatre in Los Angeles last night. Lee won with a double foot stomp holding the tights. He duct taped Allin's arms behind his back. Allin did both a Braque and a tope con giro with his hands tied behind his back. Puma King pinned Horus after a powerbomb off the top rope. Sabre won with a bridging cradle. This was a different crowd than usual. Most of the regulars loved this match but there was a different minority of the crowd that wasn't into the great mat wrestling. Plus, the storyline of Sabre being hated by Mexican wrestlers is something only a small percentage understood. Bandido picked up the win with a gutwrench into a piledriver. Lots of unique stuff here. Super entertaining. King busted open Thatcher's nose with a clothesline and he was bleeding all over the place. Thatcher won via submission with a Fujiwara armbar. Wentz pinned Ortiz with a twisting senton. These guys worked hard. It was tough because Xavier & Wentz have been working with The Young Bucks and Pentagon Jr. & Fenix. Cobb pinned WALTER with a three-quarter nelson pin like you'd see in an amateur match after escaping a choke. Pretty great match. Not as many WALTER chops and not as many Cobb power moves, they seemed to save the big stuff to make it mean more. The crowd was going crazy at the end. The first half of the show was really special but no matches of the year. The crowd threw money into the ring after Puma King vs. Horus vs. Flamita, and threw a lot after Bandido vs. Fenix. A lot of first-timers in the crowd or those who hadn't been in the modern era. Previous shows have felt like Reseda but in a much nicer and larger building.